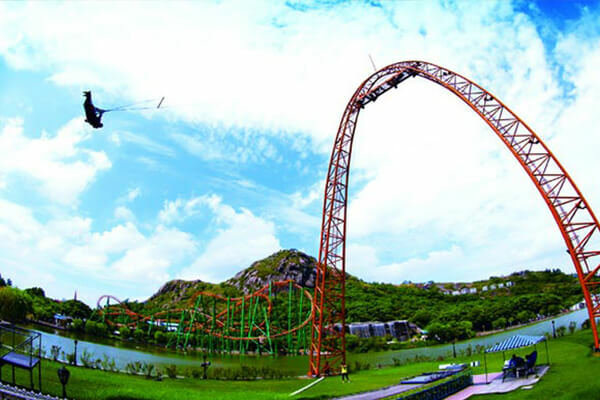 Suzhou Amusement Land, situated at the center of Suzhou High-tech Zone, taking Shizi Mountain as the relying, covers a land of 540,000 m2 and is composed by 2 parts: water world and amusement world, with a total investment of RMB600 million. It mainly manages construction amusement, catering and other touring facilities. 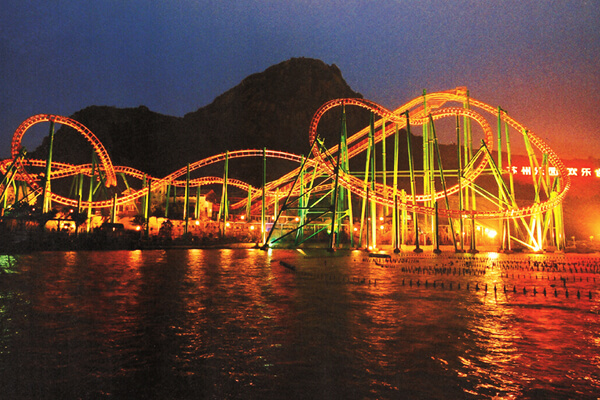 It is National AAAA Scenery Spot, passed certificate of quality system of ISO9002 in 2001 and is regarded as “the master piece of Chinese 3rd generation theme park”. Suzhou Amusement Land, themed with oriental Disney, including the features of vivacity, line and magnificence of western amusement parks, and the leisure, quietness and nature of oriental gardens, according to the pattern of “amusement in north and viewing in south”, is divided into 9 spots: European and American city and town, children’s world, future world, Scottish Garden, Venetian water city, Baishi Garden, Haungzuo Square, etc; moreover, a large amount of high-tech amusement facilities are brought in such as flying saucer exploring, space-time airship, universe great war, adventure in outer space, triangle gliding, flying trapeze, shooting in high air, etc., and there are more than 80 amusement projects and spots now, which makes Suzhou Amusement Land become a modern amusement heaven including modern high-tech equipments, landscape of European and American city and town and beautiful natural landscapes. It fully shows the feature of the combination of national modern amusement technologies and deep cultural connotation, which makes visitors feel the gorgeous European and American style and natural oriental feeling tone.